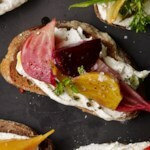 Skip the top piece of bread and make a healthy open-face sandwich, aka a tartine. 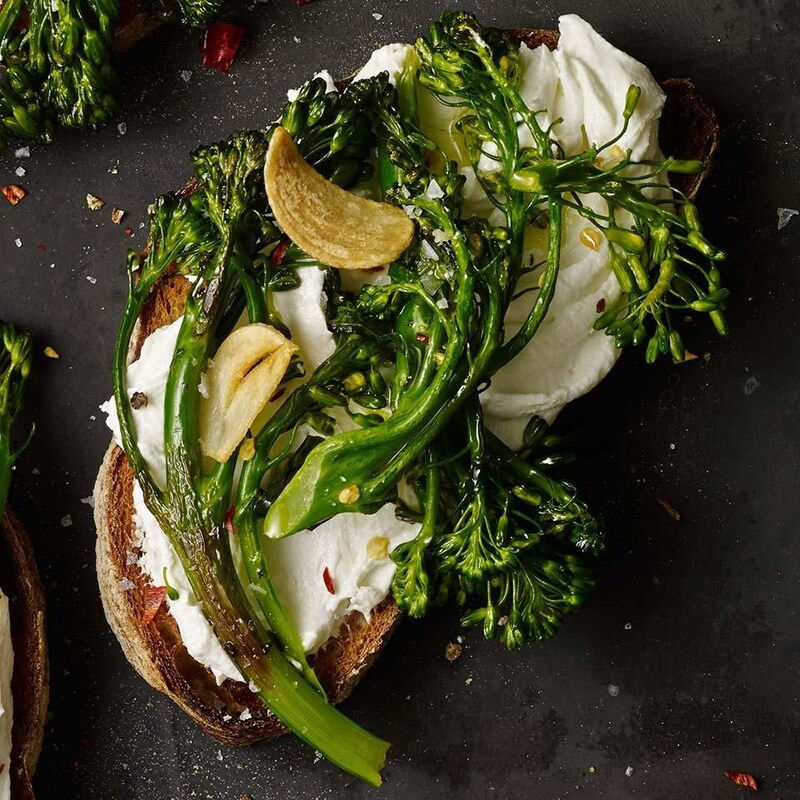 In this version, we top crusty whole-grain bread with roasted broccolini, garlicky goat cheese and crushed red pepper for a little kick of heat. 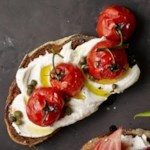 Try stirring fresh or dried herbs into the goat cheese spread for even more variety. 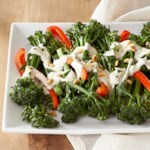 Peel broccolini stems with a vegetable peeler. 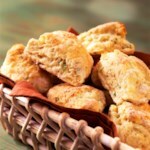 Toss on a rimmed baking sheet with 1½ teaspoons oil, salt and pepper. Roast, turning once, until the edges start to brown, about 10 minutes. Meanwhile, heat the remaining 2 tablespoons oil in a small skillet over medium-high heat. Add garlic and cook, gently stirring, until just golden, 30 seconds to 1 minute. Remove with a slotted spoon to a paper towel-lined plate to drain, reserving the garlic oil. 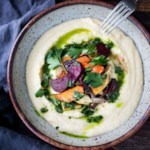 Stir goat cheese and milk in a medium bowl until smooth. Season with pepper. Spread about 2 tablespoons of the mixture on each piece of toast. Top with some of the broccolini and garlic slices. Garnish with a drizzle of the reserved garlic oil and/or crushed red pepper, if desired.